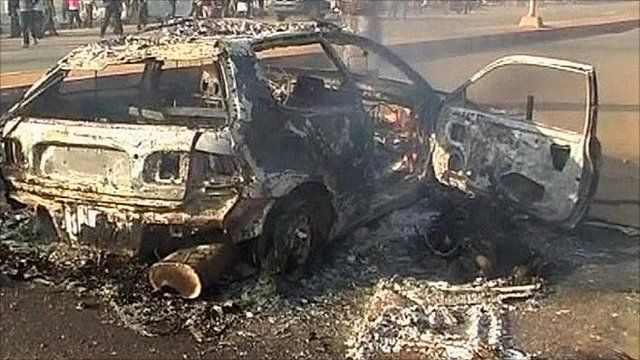 Government officials in Nigeria have appealed for calm after further violence between armed groups broke out in the city of Jos. The unrest was triggered by explosions on Christmas Eve that killed 32 people. State Information Commissioner Gregory Yenlong says the atmosphere around Jos is "charged" and confirmed that "drastic measures" were expected to be put in place. Previous violence between Christian and Muslim ethnic groups in the region has killed hundreds.